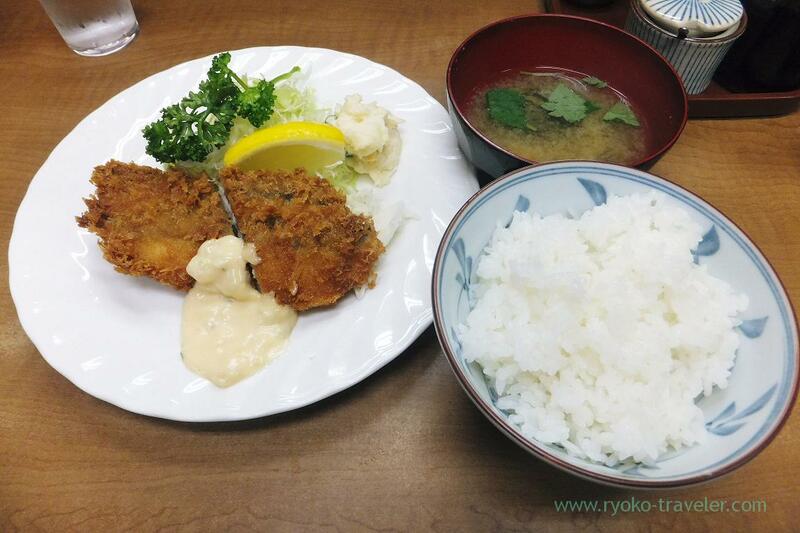 Odayasu have various special foods, but I don’t meet yet. I went to Tsukiji market to have breakfast this morning after a long interval. Today, I have some clear targets. 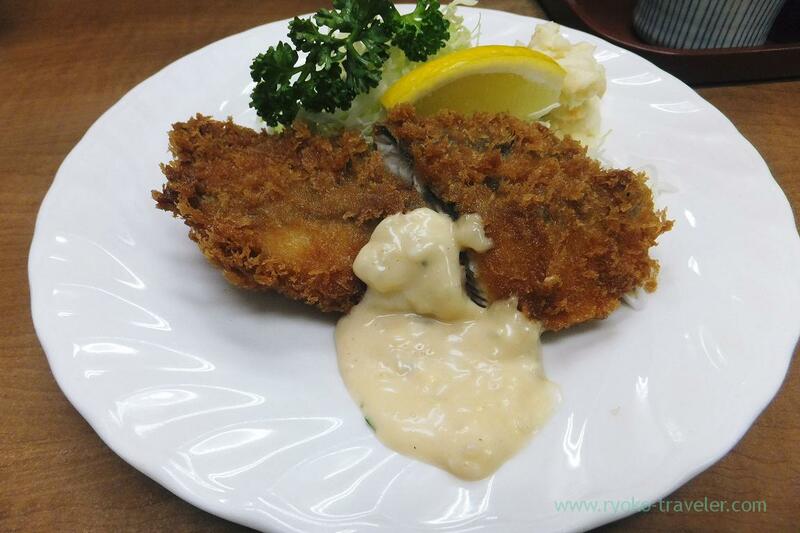 Deep fried saury, fried tilefish with butter or deep fried sweet fish with its egg on the blackboard menus of Odayasu. Everything that I wanted was not on the menu. Oh my ! I was very disappointed because it’s too hard for me to get up early this morning. But I had no time to cry ! I had to decide my breakfast soon. I had no energy to see another menus. So, I ordered deep fried Spanish mackerel (Sawara in Japanese) on the blackboard menu. It was 700 yen. And also I ordred rice and miso soup. This was rather small. So you’d better order it with another food. Somehow the waitress serve me large rice, so I ate rice with miso soup last. 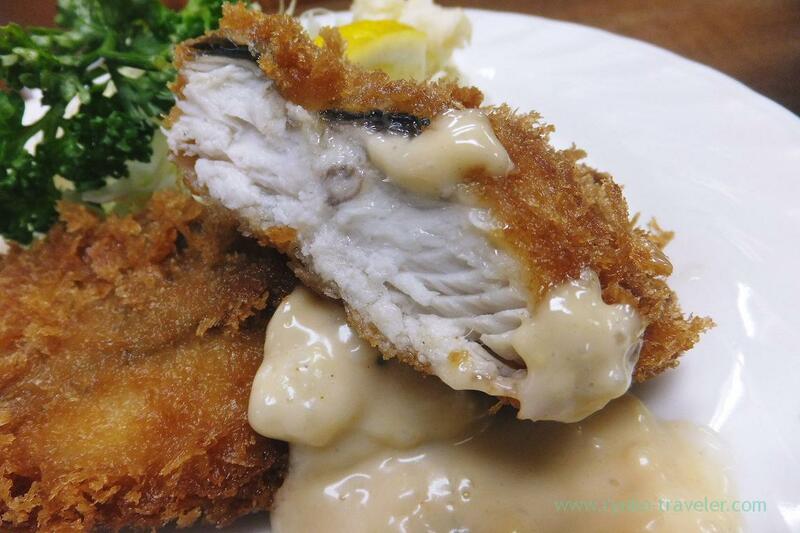 It’s the section of the deep fried Spanish mackerel. The meat was thick and delicious. Now, I am thinking about my breakfast tomorrow. Tomorrow is Wednesday. But Tsukiji Market is open. So, I might try Odayasu again …. !